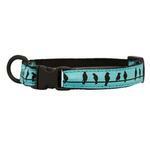 Cats will love the birds on this life saving Kitty Breakaway Cat Collar with Bird on a Wire design! Breakaway collars give way if they get snagged up on something. 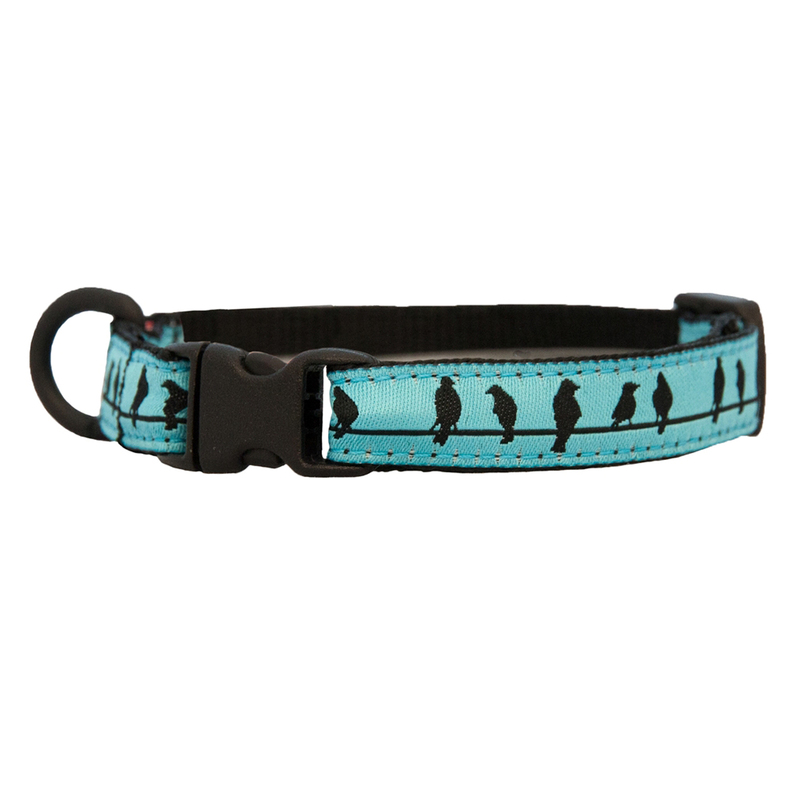 The birds on this collar have a pretty collar as they seat on a wire. Lightweight plastic D-ring for ID tags. Machine wash cold on delicate cycle. Do not wash with touch fastener items. Hang to dry. Do not iron, do not bleach, do not dry clean. If needed, presoak in an enzymatic cleaner like Nature's Miracle. I could not be more pleased with your site. The selection and prices are fantastic! I usually find one or two items on clearance and this order you have everything on sale which is even better. I was helped quickly and extremely courtesly by your staff when I had a question so I'm adding top notch customer service to my list of reasons why I refer everyone I can to your site. Thank you for everything. Keep up the good work!